The island of Malta is seated in Europe and is one of the smallest countries there. However that is no obstacle for this place to me one of the leader online casino license providers starting from 2000 up to this day. In charge of the procedures necessary is the Lotteries and Gaming Authority of the Country of Malta making sure that every online casinos licensed under them offers to world wide players a specific frame of rules. More then 67 online casinos in total operate under Malta flag and as a consequence dealing with the Malta LGA. a.k.a. Lotteries & Gaming Authority of Malta. One of the main characteristics of Malta licenses is their variety. Regardless of the type of gaming services a business is thinking of providing, one can be sure that the office in charge at the Malta LGA most probably has a license to support it allowing the provider to operate legally. That is perfect for online gaming website that are thinking of providing a variety of services of one or several kinds all together. 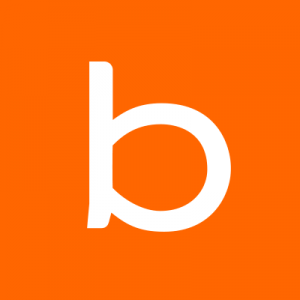 Licenses provided here include games like bingo, lottery games, casino games, non-profit games, poker, sports, sweepstakes and even betting of other kinds. If you want to provide it, the Malta office will legally allow you to do it. The Malta authorities in charge of online casino licenses are in position to secure all players that the randomness of the games provided under their flag is guaranteed. 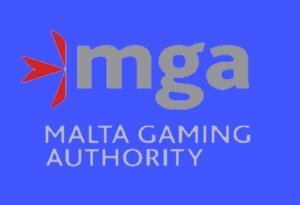 The reason is that Malta LGA provide licenses with the obligation of each online casino to provide specific proof of game fairness every six month no matter what. The actual auditing services are provided by independent audit agencies such as TST, eCogra and iTech Labs providing data of the fairness of each game results. The so called compulsive gambling is taken much under consideration from Malta LGA. They have taken preventing actions in that aspect. At their website there is a whole section talking about it. The same is expected from all online casinos licensed under Malta flag. They too are obligated to inform and help players by providing resources that are to help in cases of gambling problematic situations. All online casinos must also permit players to take a break from the game as well as exclude them on a permanent bases if they are asked to do so by the player itself. The Malta LGA website provides lists of all the online casinos that operate using one of their licenses. This way, if a player finds an online casino or other betting sites that claim to have Malta license, it can just visit their site and verify it. A number of large casinos in particular have linked their sites directly to the Malta LGA website in an effort to prove the truth in their claims of being licensed there. In most cases disputes and disagreements casinos have with their players never reach the Malta authorities. One of the main characteristics that Malta license have is the demand on their behalf that the online casino operates on a fair criteria toward the player. For the times the player and casino are not in position to sort things between themselves the Malta office will interven to help out. During the past years, the Malta authorities had a policy not to interfere much but recently one can see a change in that aspect. They are now investigating complaints and take actions when they see it necessary. Malta LGA e-mail is [email protected] but one can also call directly to them at +356 2546 9000 which is an international line.